Having a top notch electric wheelchair is great, but what good is it if you can’t enter or exit your home to take it out for a spin?! That’s where Open Box Medical steps right in to save the day! 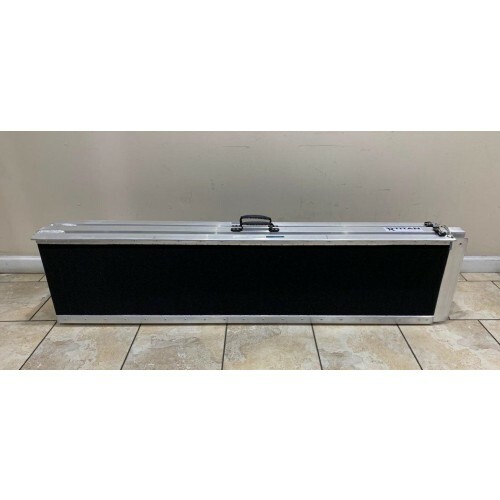 Open Box Medical carries a vast variety of used wheelchair ramps. Our used wheelchair ramps can be used either indoors or outdoors. 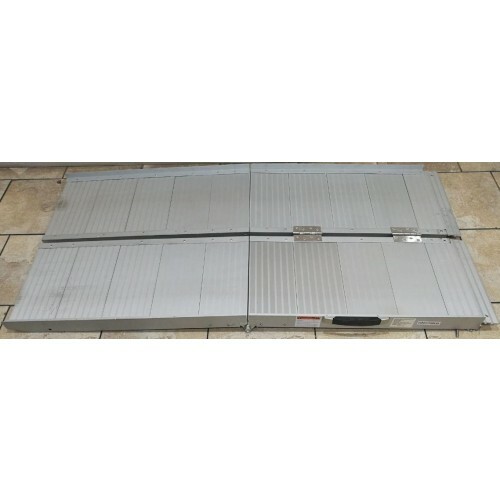 We also sell Open Box wheelchair ramps and new wheelchair ramps. The best part about our stock of ramps is that they are all sold at unbeatable and discounted prices! Open Box, New, Wheelchair Ramp, never been used. Manufacturer's Demo Feal BGR90-25 Wheelchair Ramp in Brand New Condition. 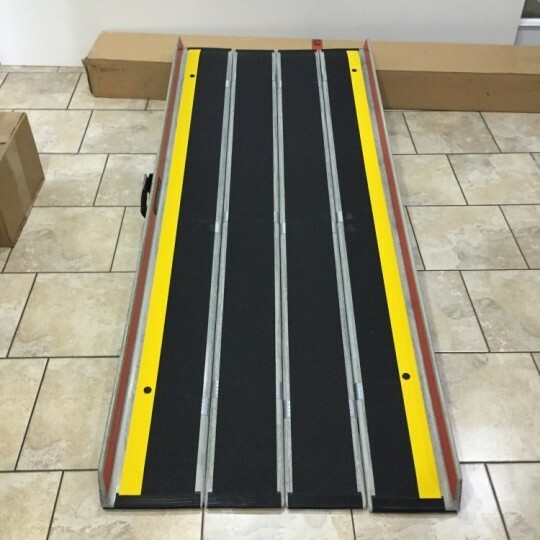 Surface of ramp has been treated to provide maximum grip, and has a weight capacity of up to 1320 lbs. 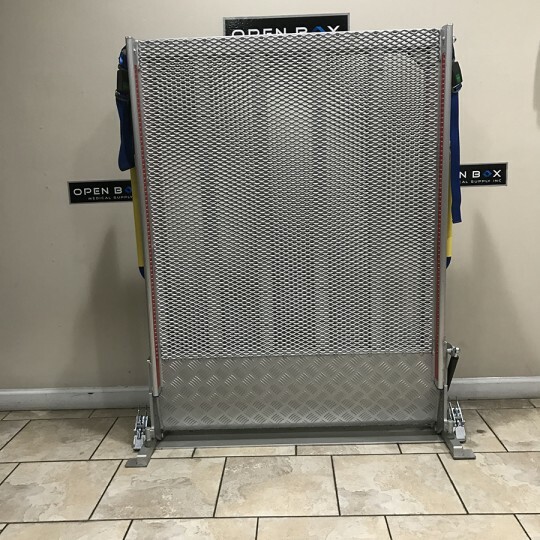 Designed specifically for doorways, sliding doors, or any raised surfaces that make maneuvering across unsafe and unstable. Simple and quick set up! Just slide the threshold ramp in front to the raised surface and enjoy easier access across the threshold. Typically for ramps that are 6-10 feet in length. *All of our wheelchair ramps may be used with scooters, electric wheelchairs, and manual wheelchairs due to their high weight capacity. 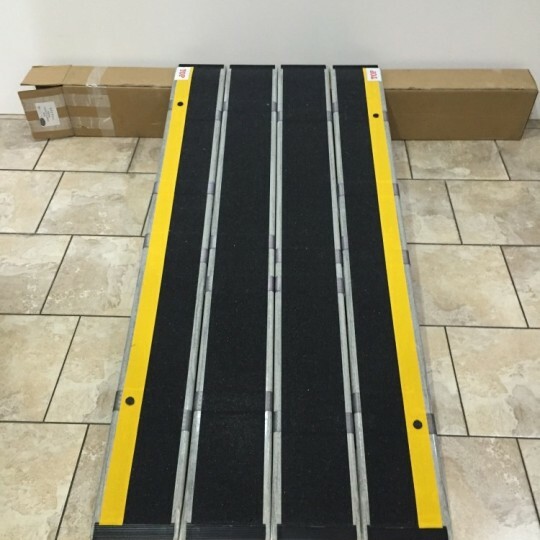 Open Box Medical can help you decide which type of ramp fits your needs. We offer White Glove Delivery to customers who reside in the Los Angeles area (fees may apply).